Do your marijuana plants have a pest problem? Don’t stress! Pests are among the easiest issues to take care of. Get rid of them quickly using these tips! Growing marijuana can be a fun and rewarding activity. You know how much you enjoy eating a meal you’ve cooked for yourself? Imagine that same feeling, but instead you are loading a bong with cannabis cultivated by you. If you’re growing medical marijuana, there’s a real sense of satisfaction to taking charge of your health and growing your own medicine. Before you get to that phase, you have to successfully make it through the growing itself. Luckily for you, growing cannabis is pretty simple compared to other plants. Cannabis plants are quite strong and can put up with a lot of adversity. One of the most common maladies are pests. How does one tackle a pest problem? I invite you to put down your bongs and read this now! When cultivating different cannabis strains, one should always be vigilant of your plants’ environment. Cannabis plants are susceptible to this particular issue, especially in their early stages during the vegetative phase. While outdoor plants are more at risk for developing an infestation, it is easier to take care of an infestation in your outdoor plants than your indoor plants. An infestation is a common problem when growing anything, just ask people who garden regularly. Fortunately, they are also the easiest to take care of. So, what do you need to watch out for? These species love cannabis plants: spider mites, slugs, snails, caterpillars, beetles, and other leaf eating insects. These species of insect are common in most gardens, but they are very attracted to marijuana plants, in particular strains such as OG Kush, Candy Kush, and Amnesia Haze. Unlike with other plants in your garden, you want to be cautious with what you use to take care of an infestation. Obviously, you want to shy away from using pesticides because you’re eventually going to want to smoke your female plants. Fortunately, there are plenty of methods for eradicating an infestation that do not involve using pesticides. Before you begin employing pest control tactics, even with organic insecticides, it’s important to remember that plants produce their own defenses, so do try to refrain from relying too much on your own methods. 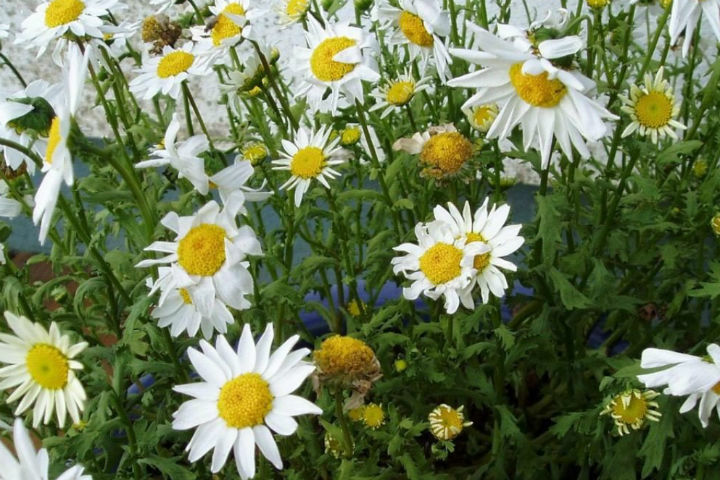 One of the most effective organic insecticides is the pyrethrum daisy, aka the Dalmatian Chrysanthemum. You can buy pyrethrum at any gardening supply store, or if you prefer you can plant pyrethrum daisies or chrysanthemums among your plants. Pyrethrum handles a very broad range of garden insects, hence why it is a favorite among people gardeners of all types. Organic pesticides are very effective when dealing with an infestation, but as with regular pesticides you should be diligent with following the instructions with any kind of store-bought pyrethrum or other pesticide. Some organic pesticides require water to work properly. Always read the labels! When it comes to taking care of a pest problem, why not use what nature has done for thousands of years? What I’m saying is that you should try using your pests’ natural predators to take care of the problem. There are two different types of predators that you can use: predatory insects and much larger predators like birds, turtles, frogs and lizards. The most commonly used predatory insects are ladybugs, lacewings, and praying mantises. In fact, ladybugs are often bred just for this purpose. You can easily attract birds to your grow by scattering birdseed around. It is important to keep in mind that treating an infestation with predators only works if you have a large grow area. If your predators do not have a continuous supply of food, they are not likely to stick around. Obviously using methods such as this will not work if you’re growing in your closet or any other small areas, regardless if they are indoors or outdoors. Using other plants is a great way to tackle an infestation in your cannabis plants. If you’re not a fan of using organic pesticides, you can always do what is referred to as “companion planting.” As mentioned briefly above, Pyrethrum daisies, aka Dalmatian Chrysanthemums, contain chemicals called pyrethrins, which are deadly to garden pests, hence why organic insecticides are made from them. Plants such as marigolds can be very effective at repelling leaf eating pests, such as beetles and worms. Onions, garlic and other plants that emit odors work well at preventing rabbits, deer, and other animals from eating your crops. Plants such as cabbage and mint are quite effective at driving away aphids and some beetles as well. Companion planting is best to do while your plants are young since they haven’t had a chance to develop their own natural defenses yet. Companion planting is not only useful for taking care of an infestation, it’s also very handy for camouflaging your grow, so no one is the wiser. If you’re not enamored with using pesticides, you can always use different homemade remedies. Some growers have found that spraying plants with soapy water then rinsing them off is helpful in tackling an infestation, but using this remedy puts your plants at risk of being ruined by the soap. It doesn’t matter how great the psychoactive effects of the strain are, or how high the levels of THC are, no one wants to smoke cannabis that has been tainted by soap. Fortunately, there are other remedies at your disposal. Garlic cloves, for instance, work wonders for beetles. Make sure to always be diligent when doing your research because you never know what will harm your plants. Just because something is natural does not mean that it will be beneficial for plants. Beer for example, is great for getting rid of snails and slugs in other situations, but in actuality it can gravely harm your cannabis plants. 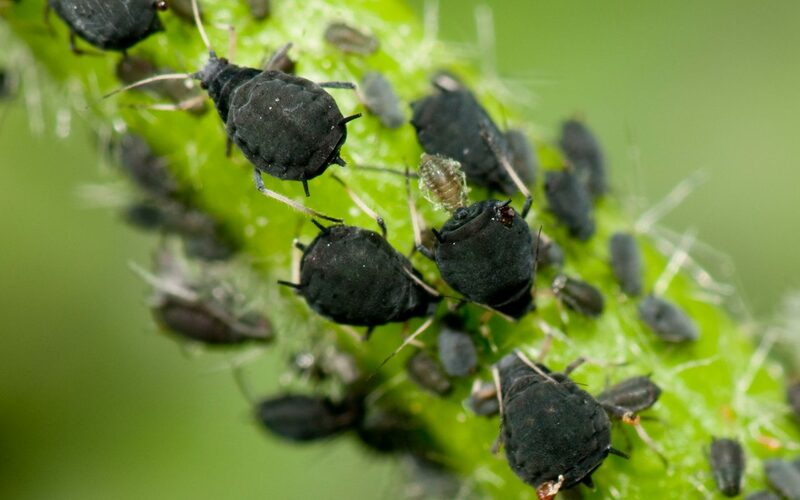 What methods do you prefer for banishing pests from your marijuana plants? Tell us in the comments!